"MY PRIDE IS... 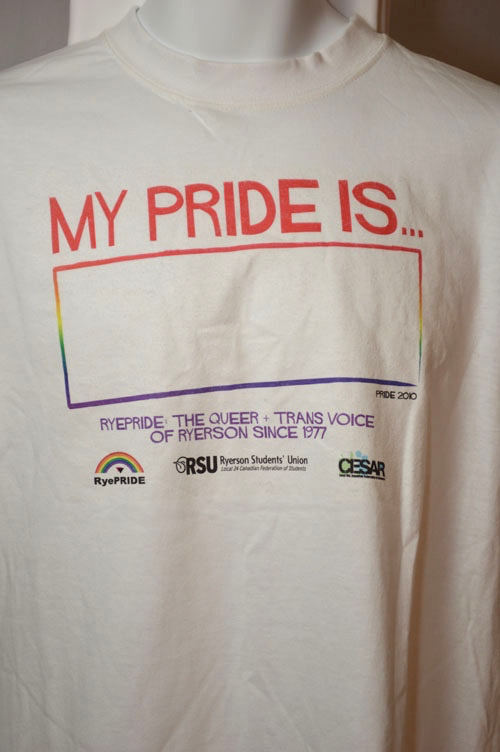 Pride 2010 / Ryepride: the queer + Trans voice of Ryerson since 1977"
Red lettering above a rainbow box. Purple text and black logos below the box. 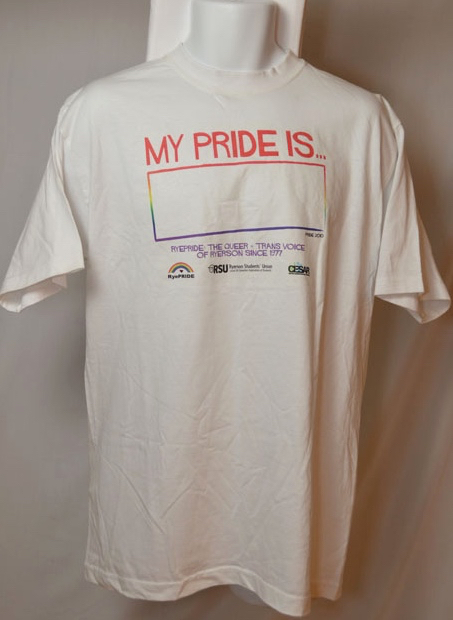 “My Pride Is...,” Wearing Gay History, accessed April 19, 2019, http://wearinggayhistory.com/items/show/4142.